In the last few months I've encountered several Christians who have tried to reverse the burden of proof that I demand for claims of God. I've tried explaining, both here in my blog and in person, that the burden rests upon the person making the claim. The problem that I seem to have is that a religious person will often deny that Atheism, or even the more tenuous statement of "waiting for proof" is any sort of default position. Instead they claim that Atheism or skepticism is a positive claim that requires proof. This is the way that Ray Comfort argues in his "Way of the Master" series. It's is the argument proposed in the book, "I Don't Have Enough Faith to Be an Atheist". The argument goes that since I'm not personally Omniscient, then there really isn't any way that I can say that there is NOT a God, and therefore I must logically believe that there IS a God. To counter this argument, Atheists make up fake Gods like the Invisible Pink Unicorn, or the Flying Spaghetti Monster. But I don't think we use them very well. Something my friend Richard said a few weeks ago got me thinking about how to better apply these counters to the shifting burden of proof. Richard mentioned that he saw an interview with Daniel Dennett who countered this shifting proof by saying something like, "Well, the invisible elf on my shoulder tells me that you're wrong." This is a brilliant move. The religious person can't claim immunity from the burden of proof for his own deity while demanding that you must meet the burden of proof for your own imaginary friend. So, my favorite imaginary friend is the Invisible Pink Unicorn. (Yes, I'm unicornarian, not pastafarian!) 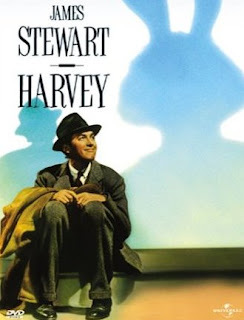 The next time someone asks me to prove that God doesn't exist, or the next time someone tries the Ray Comfort method of asking me how can I be sure there is no God if I'm not personally omniscient, I'll respond by introducing them to the IPU, in the same manner that Elwood Dowd introduces Harvey. I'll let the IPU tell them that their God doesn't exist, and that they're being silly. What, you don't believe in the Invisible Pink Unicorn? Do you claim to know all there is to know? Wow, I stumbled onto your blog, and instantly loved this post. I too like the IPU, and am thinking about converting from FSM. Glad to see you are posting more regularly. Christian -- "How can you claim their is no God? The burden of proof is on you! I will become an atheist when your evidence is convincing"
Me -- "How can you claim you are not a child molester? The burden of proof is on you!. We will release you from jail when your evidence is convincing." This shows that unlike religions, secular institutions (like our courts) know that there is an entropy to evidence. The evidence need to prove something highly improbable is much more than that required to prove the highly probable. And I suspect all "Reverse Burden of Proofers" change their tune when they find themselves in a court room. Hi Richard... yes, I've been out of it lately. Too much work, too much personal stuff going on. I hope to improve a bit on posting too. Are Counterfeit Money Detector Pens a scam? Free Energy? No Free Lunch! Challenge me! Recommend a book that will make me Christian! Why do Christians confuse Sin with Crime? Why bother? Because what we do NOW is important! How much of religion is caused by pattern recognition? All content copyright 2015. Simple theme. Powered by Blogger.